You know that Mardi Gras and Carnival are famously celebrated in New Orleans. But did you know that many communities throughout Louisiana commemorate this festive season too? Come experience Mardi Gras in “The other side of Louisiana” in Shreveport-Bossier. Expect live zydeco music, dancing, traditional Cajun cuisine, king cakes, and float-filled parades with beads, beads, and more beads! Located in the Northwestern corner of the state (closer to Texas than New Orleans), Shreveport-Bossier offers a family-friendly Mardi Gras celebration. Why Choose Shreveport-Bossier for Mardi Gras? During the current economic downturn, the Shreveport-Bossier area has actually seen an increase in Mardi Gras tourism with revelers seeking more affordable accommodations, libations, and dining options than what can be found in New Orleans. While there is no shortage of grown-up beverages at the larger parades and other Carnival activities, Shreveport-Bossier provides a more family-friendly Mardi Gras. You won’t see any shirts being lifted in exchange for beads here. Plus, there are special parade route areas designated as alcohol-free. Many families with children of all ages attend the parades together. Carnival season takes place each year a dozen days post Christmas through midnight on Mardi Gras (French for Fat Tuesday), the day before the commencement of Lent on Ash Wednesday. Mardi Gras is serious business for Shreveport-Bossier residents, bringing in over $2.7 million in tourist revenue each year. The first Mardi Gras parade of this friendly metropolitan duo took place in 1927 but went on hiatus during the Great Depression. Mardi Gras festivities returned with a parade thrown by the Krewe of Gemini in 1990 and has been growing each year since. 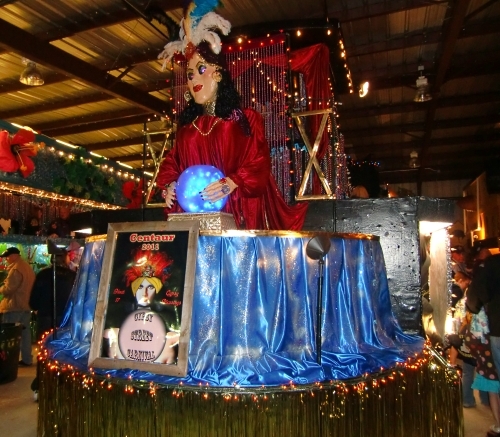 The community’s Mardi Gras traditions are organized by 15 krewes of various sizes and specialties. The two biggest, Krewe of Gemini and Krewe of Centaur each throws its own traditional parade featuring 30 to 40 floats from which over $100 thousand worth of beads, plastic drink cups, stuffed animals, and other trinkets are tossed to hooting crowds. Krewes are run and supported on a volunteer basis, with local companies sponsoring many of the floats. Even if you’re not a local you can experience the thrill of hurling colorful goodies into a crowd of leaping partiers, but it will cost you. Out-of-towners can join the Krewe of Gemini for a $140 membership fee plus the cost of the beads, for a total of $465. Along with bead-tossing privileges, you receive a pair of tickets to the Twelfth Night Party and the Krewe of Gemini Ball. Float riders are also expected to purchase and don any costumes needed to wear in the parade. Smaller Shreveport-Bossier krewes are more specialized in nature and may pay to run a float in one of the larger parades. The Krewe of Justinian’s members hail from the legal profession. The Krewe of La Femme Mystique is made up women. 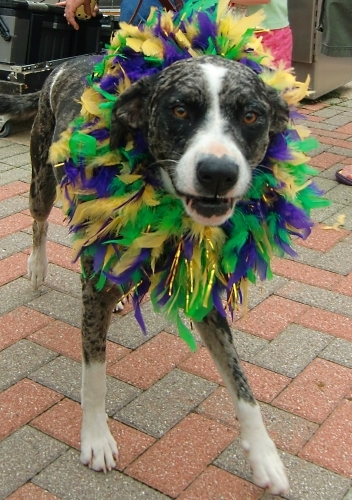 The Krewe of Barkus and Meoux throws a mellow, family-friendly Mardi Paws Parade each year at RiverView Park along the Red River to raise money for non-profit pet adoptions. Costumed dogs, cats, bunnies, and ponies are the stars of this parade, many of which are led by children and adult owners in matching gear. 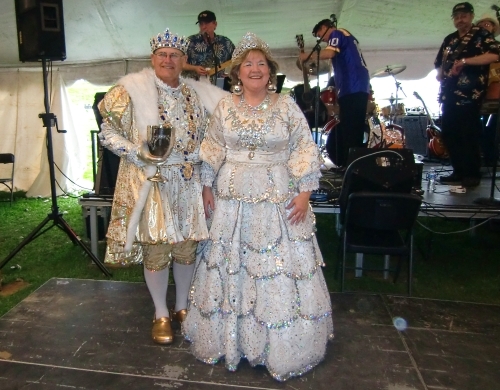 Most krewes kick off the season with a Twelfth Night Party at the start of the season. All throw a formal ball complete with appointed royalty. Feather and faux jewel-adorned regalia cost participants up to $20 thousand dollars apiece. Krewe members attend meetings, at which a little fun and alcohol is typically involved. They also pay dues, design and build floats, and ride in parades. The Krewe of Gemini Royalty Chair Mary Louise Stansell bragged that while New Orleans celebrates specifically during Mardi Gras season, the krewes of Shreveport-Bossier party year-round. A highlight of the year for her and many other krewe members is when they dress up in their Mardi Gras costumes to visit all children patients in the three local hospitals. Get a sneak peek of the current year’s floats at the loading parties, held the night before the parades when krewes load beads and other goodies for the festivities. 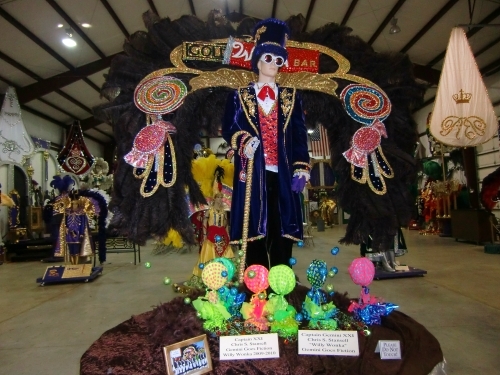 If you want to learn more about the history of Mardi Gras in Shreveport-Bossier and get an up-close look at the royalty’s costumes in all their sequined and feathered glory, head to the Krewe of Gemini Mardi Gras Museum. It’s open on weekends during Carnival season and by appointment throughout the rest of the year. 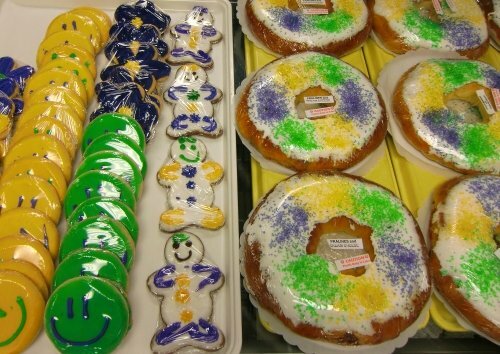 If you will be in Louisiana during Mardi Gras season be sure to stop by a local bakery, like Julie Anne’s Bakery & Cafe, to sample a King Cake. The tradition of King Cakes started in Europe to celebrate the coming of the wise men bearing gifts to the Christ Child twelve days after Christmas (on Twelfth Night or Epiphany). Europeans hide a small ceramic king, a bean, or a coin in the cake. It is said that a year of good fortune awaits the lucky diner who gets the figure. In Louisiana, a tiny plastic baby Jesus is buried in the cake and the “winner” must continue the festivities by throwing the next party and purchasing the next King Cake. Traditionally the cake is a simple ring with little decoration. Louisianans liven it up with frosting topped and sprinkled sugar the Mardi Gras colors of purple, green, and gold. Julie Anne’s offers 22 King Cake flavors. The most popular is Pralines & Cream filled with cinnamon, pecans, and sweet cream cheese. King Cakes can be found in any local bakery during Mardi Gras season or ordered ahead during the rest of the year. 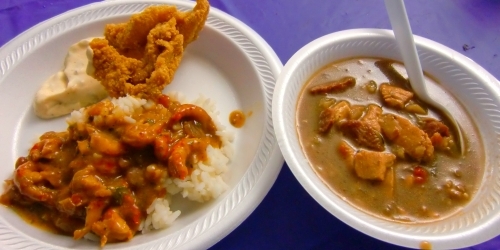 Even if you will be visiting Louisiana off-season, order one up and laisser les bons temps roulez! Would you consider bringing your kids to Shreveport-Bossier for a family-friendly Mardi Gras? Let us know in the comments below! Paul – Thank you for the comment and correction. I changed it to “zydeco” in the story. And now you’ve got me thinking about Shreveport-Bossier and craving some Cajun cuisine and King Cake! This was a great article and very accurate except the music we play is Zydeco (not Zydego). We have as much fun as this indicates, here in Shreveport-Bossier! And it’s so much more family friendly, and wallet friendly than N’awlins. And if you’re a bead freak, the Krewe of Highland parade on Sunday is the place to be. So c’mon down!! Lassez le bon temps rouler! How do I go about getting a spot reserved for my family and friends to set up for the parade in 2012? Misty – Anyone can just show up to the parades to watch. If you would like to participate in the parade decorating and bead-tossing, I suggest you contact the Krewes directly. Links for Krewe of Gemini and Krewe of Centaur are above. Enjoy!